Heraklion is the capital and largest city on the Greek island of Crete. Situated on the north coast, it is a hugely popular travel destination amongst travelers. Fine buildings, authentic culture, delicious food, natural beauty, welcoming people and vibrant nightlife, are just handful of the reasons why it is so well visited. Once the home of Europe’s oldest civilisation, the Minoans, who lived on the island between 2700BC -1450BC, the city is packed with history and archaeological ruins. But Heraklion perfectly balances its ancient identity and traditional customs with a modern and energetic vibe. Let’s dive into the 10 best things to do in Heraklion, Crete. Guarding the entrance to the old port is the formidable and impressive structure of Koules Fortress that was built by the Republic of Venice in 16th Century. Designed for defense, some parts of the walls are nearly 9m thick. The building is in good condition and you should climb up to the battlements for extraordinary views over the city and harbour. Closed on Mondays, Koules Fortress in open from 8.00am until 3.00pm during the winter and 8.00am until 8.00pm in the summer. The entrance fee is just €2. There are also art exhibitions, cultural activities and music concerts often held there throughout the summer. Wander around the bazaars of Heraklion and take in the rich colours, tantalizing smells, and intense flavours. The Pateles open market is a melting pot of Heraklion society and sells everything from spices to books to leather. It’s loud and lively chaos is a must-have experience when visiting the capital of Crete and is frequented by long-term travelers and tourists alike. There are a number of other popular markets dotted all over the city and another great option is the fish market on 1866 street. Drop into the nearby, highly spirited taverns to try the fresh catch of the day. 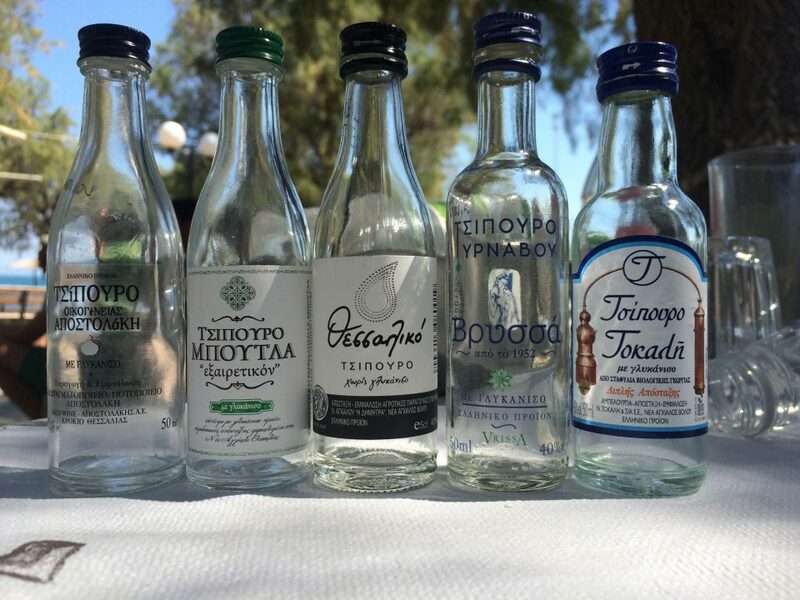 Of course washed down with the traditional and potent aniseed-flavoured drink of ouzo – you have to try it once. Filled with stylish flagship stores, Daedalou Street, running between Lions Square and Eleftherias Square is the epicenter of Heraklion designer shopping. Famous for unusual jewelry designs and beautiful folk art, the side streets all around this area are the best spots in Crete to pick up beautiful and authentic souvenirs. To the east of the city are the vast golden sands of Kateros, Florida, and Amnissos beaches and they are stunning. The water is really clear, calm and great for swimming and is home to some of the best beaches in Greece. 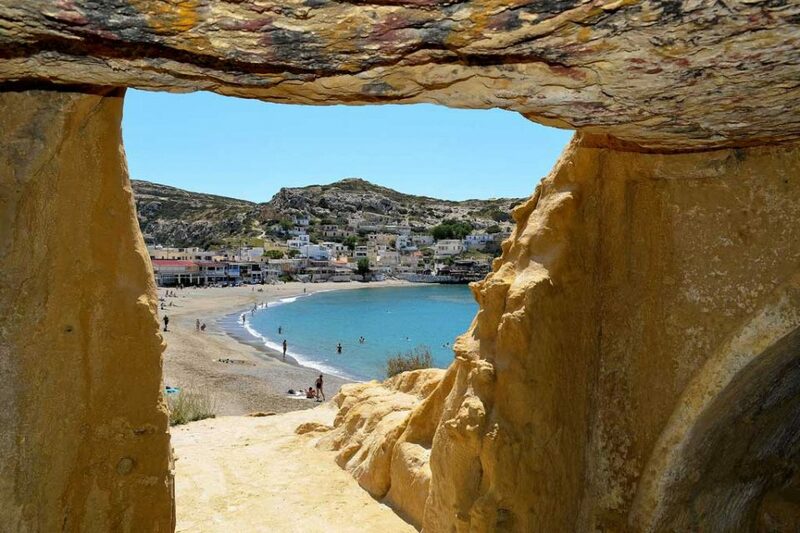 To the south of Heraklion is the beautiful and famous Matala beach with the natural caves, notoriously home to a community of backpacking hippies in the 1960’s which included Joni Mitchell. There are a number of fabulous museums in Heraklion if you are interested in learning more about Crete’s past. The Archaeological Museum of Heraklion houses an expansive collection of Minoan artifacts and the admission fee is €10. If you are planning to visit here and the ancient Palace of Knossos, buy a combined ticket for the two at €16 which is valid for 3 days. The Historical Museum of Crete runs through the complete history of Cretan society up to modern day and costs €5. The Natural Museum of Crete is focussed more on the natural environment and is unusually based in an old electricity station with an earthquake simulator, which is an interesting if not slightly disturbing experience. The entrance fee is €9. 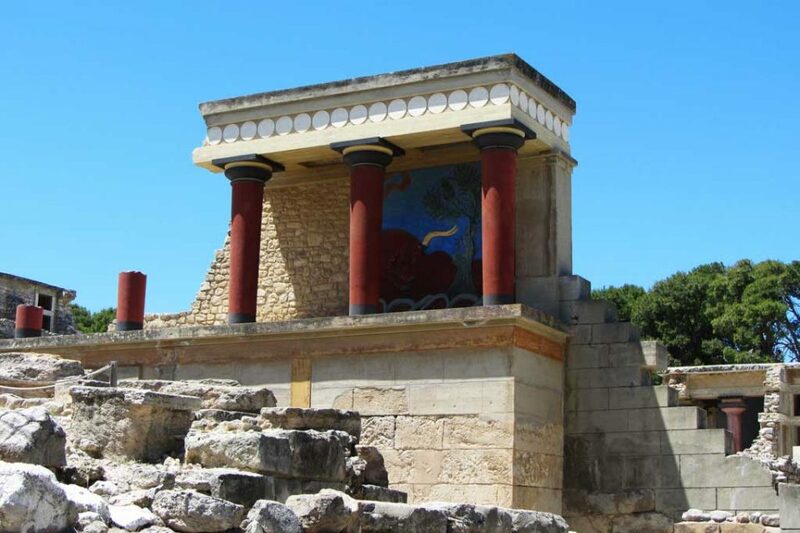 The opportunity to visit the awe-inspiring Palace of Knossos is often the reason that many tourists choose Heraklion as a travel destination. The grand and complex building is a must for anyone interested in Ancient Greek history. The Palace of Phaestos is another nearby Minoan palace. It is, however, more of ruins rather than a full structure, but the views from the site are incredible. There are so many cute and inviting cafes dotted all over the city, try a few around the picturesque squares and along the port to find your favourite. The coffee is phenomenal and the tables spilling onto the pretty streets are a perfect for a spot of people watching, taking in the hustle and bustle of the city. Heraklion has lots of cool bars with buzzing atmospheres for a great night out. They range from more international feels with vast cocktail and liquor selections, to more authentic Mediterranean dives with live Greek music and flowing ouzo. The areas of Agios Titos Square, Lions Square, and Korai Street are the best places to start, most venues are open pretty late. There are lots of exciting water sports on offer in Heraklion including jet skiing, windsurfing, sea kayaking and snorkelling. 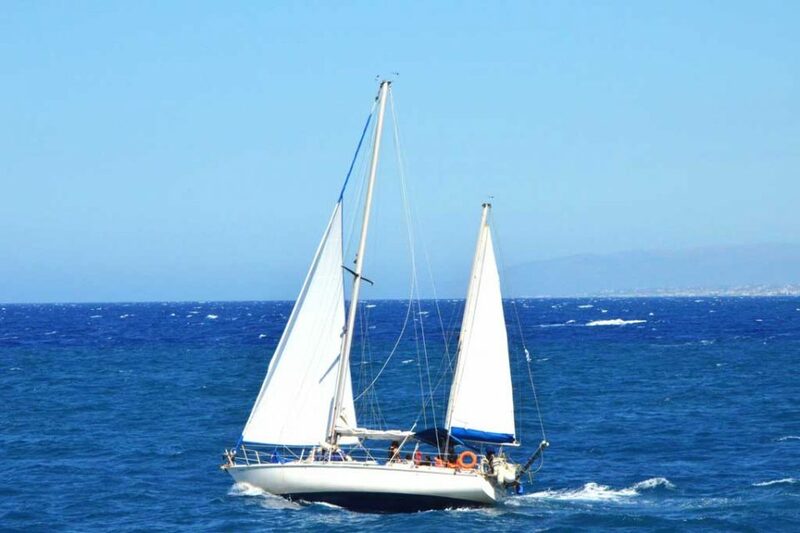 You can take sailing trips for the day and leisurely explore the beautiful seas surrounding the Greek island of Crete that way. Or if you’re a diver there is also excellent visibility in Heraklion and some exciting underwater caves and wrecks to explore. If you prefer your adventures on land, there are tour companies running horse riding and rock climbing excursions. The vast and stunning natural landscapes of Crete island mean there are also lots of hiking options around Heraklion, ranging from independent single day ones to multi-day guided treks. If you’re a hiker, definitely don’t forget your walking boots here. Impressive gorges, remote villages, ancient sites and secluded beaches are just some of the impressive sights you’ll see while exploring Heraklion on foot. 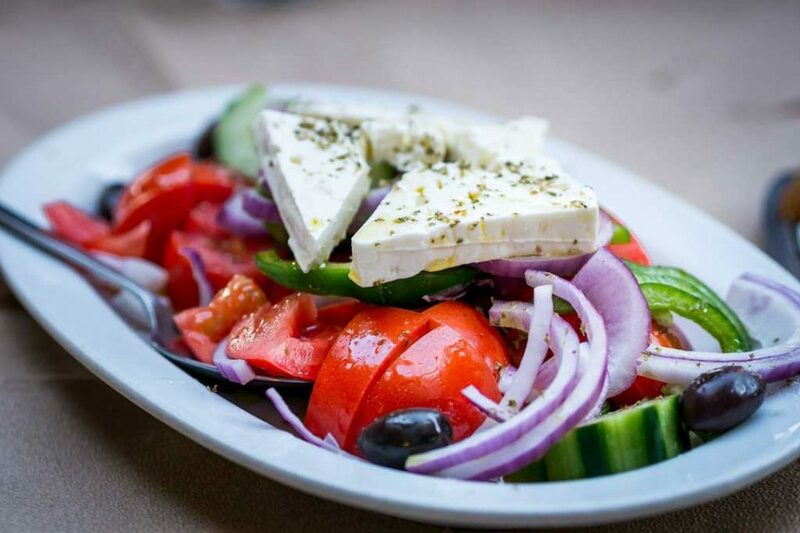 Eating out is a pleasurable and leisurely national pastime in Greece. Cretan cuisine is traditionally Greek where mousaka and mezze of stuffed vine leaves, tzatziki dip, and meatballs abound. But you’ll also find lots of delicious fresh seafood, grilled lamb and plenty of cheese. Oh, my the cheese! Be sure to eat your fill of the flaky pastries filled with cheese and honey at the Bhougatsa Cafes in Lion Square. There you go! 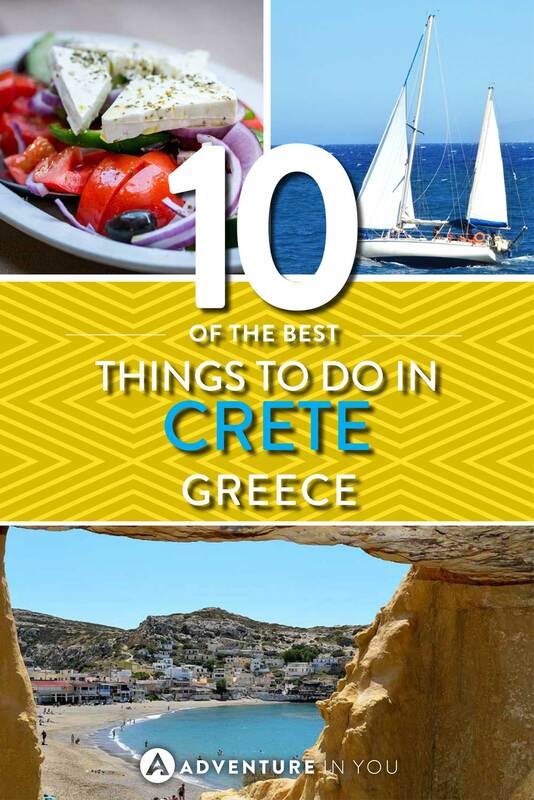 Hopefully, you find a few useful things to do in Heraklion, Crete. Let us know in the comments what you think of Heraklion and if you have any of your own tips for the best things to do there. Finding affordable accommodation in a city as big as this Cretan city can be a bit of a challenge. Here are a few suggestions on where to stay in Heraklion, Greece. Sofia’s House- This family-run hotel is a favorite for its clean, modern rooms and signature customer service. The hostel also serves really good breakfast, too. There’s also a pool for you to take a dip on a hot day. You can also head out to the beach, which is 5 minutes away. Heraklion and the main airport are just under 15 minutes away by car. Private House Heraklion – If you like to stay close to the airport, this apartment is a great option for you. The apartment is located on the main road, which is lined up with bakeries, supermarkets, and taverns. Families appreciate the fact the apartment is spacious and comfortable and has a lot of toys to keep the kids occupied. Heraklion Countryside House– Past guests think this is one of the best value-for-money properties near Heraklio Town. This minimalism-styled, self-sufficient apartment comes with a patio and an outdoor area perfect for a barbecue party. You may need to rent a car to reach this place, but it’s accessible to popular attractions and the airport. Lato Boutique Hotel – Situated right by the harbor, this boutique hotel has everything you need and more including a rooftop bar with views of Heraklion’s Venetian style fortress. Apart from comfortable rooms, guests can also enjoy buffet Western and local style breakfasts every day. Galaxy Iraklio Hotel- If you’re looking for a little bit of luxury, this 5-star hotel is a great option featuring 2 gourmet restaurants along with a wellness center. The rooms are incredibly comfortable and well-designed, featuring 24-hour room service. Olive Green Hotel- This hotel is a great pick if you’re looking for something modern, stylish, yet comfortable. Centrally located, this hotel is right in the middle of the main shopping district and the rest of Heraklion’s main attractions. 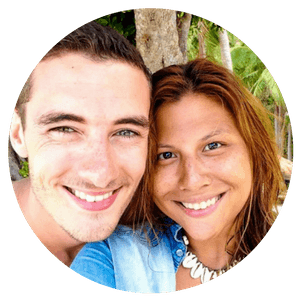 James & Sarah of TheWholeWorldOrNothing are full-time backpackers and part-time thrill seekers. 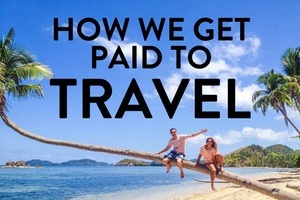 It all started with a conversation about wanting more from life and a desire to travel the world. Now they are living their dream and hope to inspire you to put your fears aside and go follow yours. 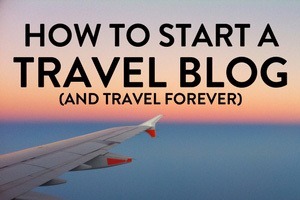 Follow them on social media to keep up with their journey and awesome travel tips. 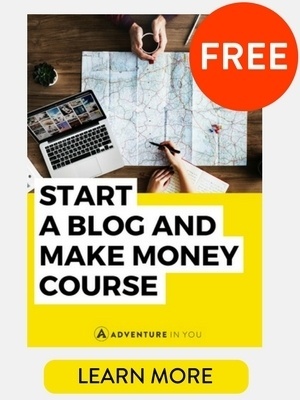 Great post guys. Greece in general was on our short list for next year, but we are going to Germany instead. However, seeing your post, reminded me why I wanted to go, and why it’s still high on our bucket list. Thank you for sharing and for the awesome pictures. Happy travels.